One Severn bridge has reopened but the other remains closed after falling ice smashed the windscreens of six cars. One lane has opened in both directions on the M48 crossing, although a speed limit of 50mph is in place. 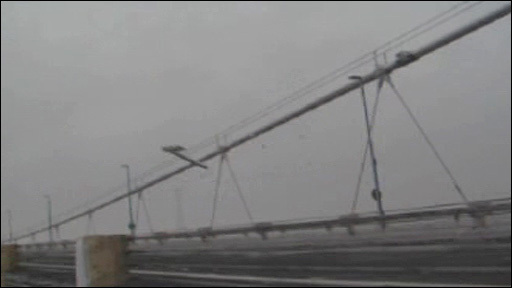 The second Severn crossing and M4 remain shut after metre-sized sheets of ice fell from overhead signs. Three cars were damaged on each bridge. 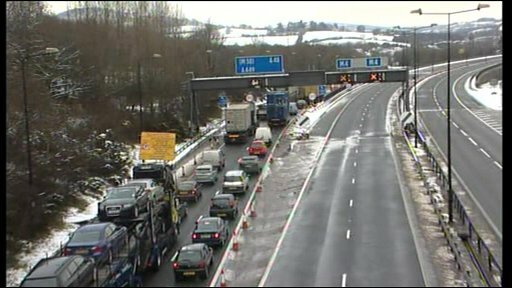 The closures at 1000 GMT led to major traffic disruption with tailbacks of traffic diverted off the M4. The Highways Agency said the second toll bridge will remain closed for health and safety reasons. It is the first time it has been forced to shut for weather reasons since it opened in 1996. Traffic Wales said it was working with Gwent and Avon and Somerset police forces, the south Wales trunk road agency, the south west regional control centre and Traffic Link "to deal with this situation as efficiently and effectively as possible". Earlier, National Express turned around coaches and suspended services east of Swansea. Motorists wanting to use the Severn crossings eastbound had been diverted off the M4 via junction 24 on the A449 Raglan following through to the A40 Monmouth, to join the M50 at Ross-on-Wye then to use the and M5. Traffic was in a tailback at High Cross, the other side of Newport. Westbound M4 traffic was also being diverted via the M5, M50 and Ross and Monmouth. Jim Clune, general manager of Severn River Crossing plc, said sheets of ice up to a metre square had fallen from overhead sign gantries and smashed the windscreens of the vehicles. He said: "The situation is that bridge closures have been requested because there were reports of sheets of ice falling from overhead sign gantries and smashing car windscreens. "It's very much a safety hazard and of course these gantries span all carriageways on the motorways. Mr Clune said the incident was "very unusual" and said it was the first time the Second Severn Crossing, which opened in 1996, had closed because of the weather. Both bridges have been closed at the same time once before - due to a chemical incident at Avonmouth. "We are in constant contact with the Highways Agency to see what we can do to alleviate the situation as soon as possible," Mr Clune said. South Wales chamber of commerce managing director David Russ said the bridges' closure showed how vulnerable the region's economy was to problems on the M4. He said: "If you include today this is the fourth or fifth time the M4 has been closed in the last two years. "The whole place gets locked up and you can't move. For businesses getting goods out of here it becomes a nightmare, frankly. "At the moment we are just at ransom when the M4 closes." Meanwhile, the M4 between Junctions 22 and 25 is described as "hazardous". One lane is closed in both directions on that stretch of the motorway and a 30mph speed limit is in place. 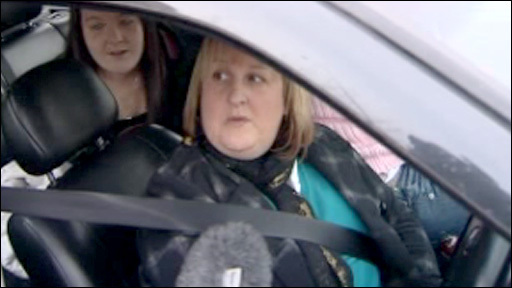 Drivers caught in the closure of the two Severn crossings describe their feelings. 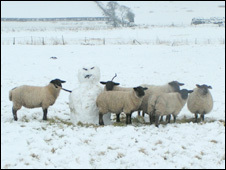 Four inches of snow fell in Powys and the A470 is shut between Merthyr and Brecon. Drivers are urged to take care. The A4061 at Treorchy and Hirwaun is also closed as is the A4067 Sennybridge to Ystradgynlais road. Police said the A465 Heads of the Valley Road is "just passable" in both directions between A469 (Rhymney) and A4060 (Dowlais Roundabout). First Cymru warned of disruption to bus services, particularly in parts of south Wales. In Swansea, it said there will be services on main roads only first thing and not including hilly areas. It said it was unable to operate to Glyncorrwg, Blaengwynfi, Cymer or Croeserw in the Afan Valley, and services from Port Talbot were going only as far as Cwmavon. Flights were delayed for about two to three hours at Cardiff Airport earlier while the runway was cleared but the backlog is gradually clearing. Cardiff is also receiving a number of diverted flights from other airports, mainly easyJet planes which were unable to land at snow-bound Bristol Airport. However, staff say they are not expecting anticipate any further delays or problems. More than 300 schools are closed across Wales, around half the numbers which have been shutting this week. Even entertainer Paul Daniels could not work his magic - his show at Blackwood, Caerphilly county, on Friday night was cancelled and rescheduled to 4 March. Carmarthenshire Council said refuse collections would carry on into the weekend, after some were cancelled. BBC Wales meteorologist Derek Brockway said rugby fans driving to Scotland for the Six Nations match at Murrayfield on Sunday needed to be wary of icy roads. He said Friday afternoon would see sleet and snow in south east of Wales moving away, with the day becoming dry and brighter. There is likely to be the odd shower in the north and west for Pembrokeshire, the Lleyn Peninsula and Anglesey, he added. Overnight could also see wintry showers in the north and west but Saturday should have a mixture of sunny intervals and wintry showers. Councils are also looking for more supplies of road salt. John Apsee, of the AA, said: "What we're concerned about is the grip on the road. "When the thaw starts, eventually, you will have patches of black ice, and unfortunately that can cause very serious accidents. "If you have got to go out, make sure yourself and the car is prepared for the journey, pack flask of hot tea or coffee if you've got to go out. "Check that vehicle over, make sure you've got screen wash in that windscreen washer bottle." Rhondda Cynon Taf Council said the Bwlch, Maerdy and Rhigos mountain roads remain closed on Friday because of the hazardous conditions.